Vote Sunset Transportation as your Top 10 3PL Provider! 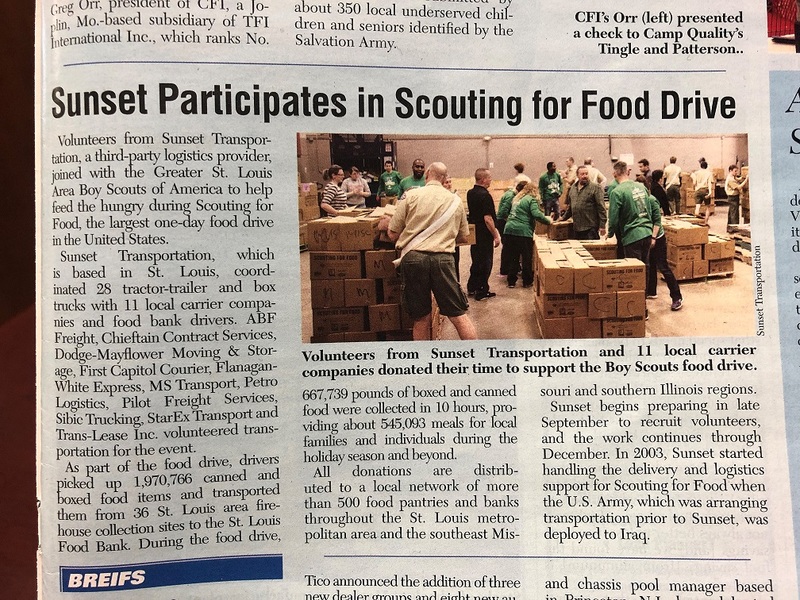 Thanks to Transport Topics for featuring our work with the Greater St. Louis Boy Scouts in their January 21 edition! We are happy to share this good news, and for our friends in the transportation media to care as much we do!